We’re officially into 2018 and with that comes another full year of birthdays, holidays, and different celebrations to fit into your schedule. And what goes along with all of that…? Gifts! Although today’s post isn’t about what to gift your friends and family, it is about a fun and easy way to wrap those gifts up! 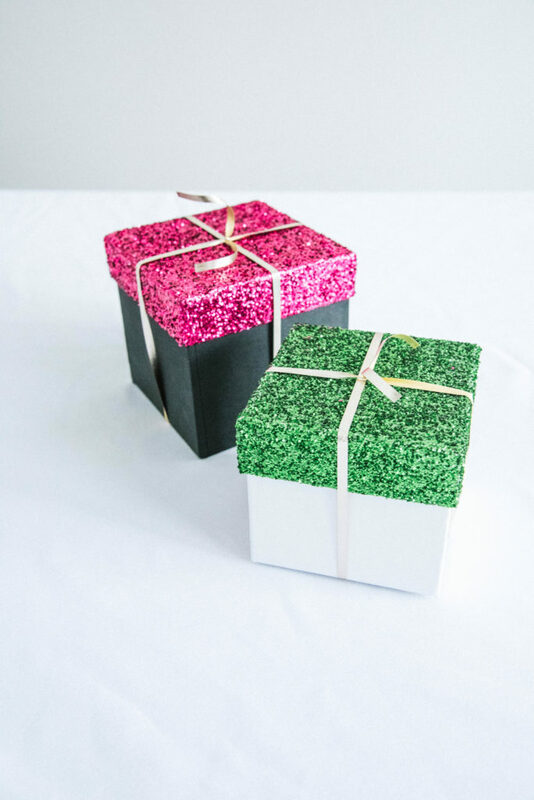 These DIY glitter gift boxes add a fun pop to an otherwise boring gift box and did I mention they are easy? 😉 Who wouldn’t want a glitter topped gift? I know I would! I recently had a friend rave about these new sneakers that he purchased. He claimed that they helped to minimize odor, regulated temperature, and were one of the most comfortable sneakers he’d ever worn. I was intrigued. So, of course, I made him spill the deets and share his new sneaker knowledge with me! He had heard about Allbirds sneakers from a friend of his, who also happened to rave about them. 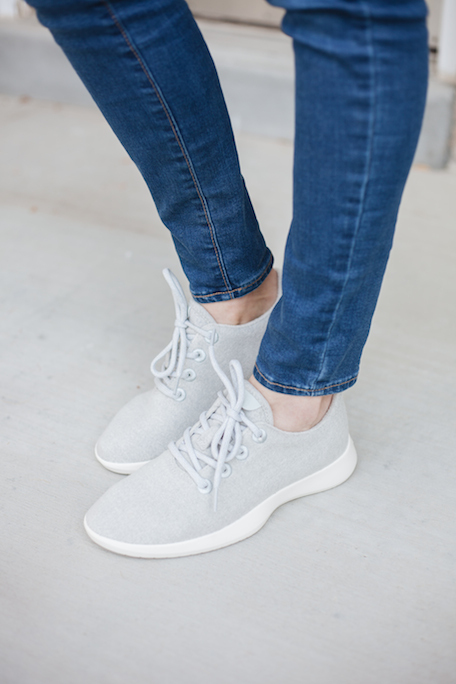 Not only were they cozy, but they were made by a small business that was changing the sneaker game. I knew I had to have a pair to try them! If you guys are anything like me, your pets are members of your family. And including them during the holiday season is a no-brainer for me! Just like the rest of my family, they each have their very own stocking and they also get a festive holiday dinner, just like the rest of the family! I also like to put together a fun little gift basket for each of them every year. It’s a really fun way to include them during the holidays and even though they probably don’t understand the whole “holiday” thing, they sure do get excited when they smell treats! 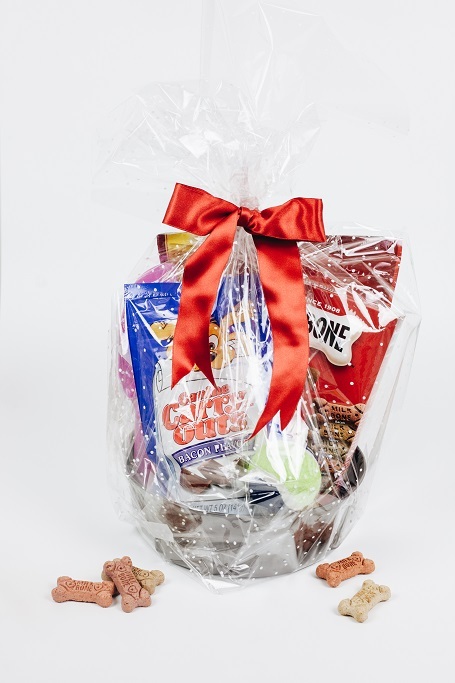 😉 If you have dogs or a family member or friend with a dog, you’ll definitely want to make sure to include a dog holiday gift basket on your shopping list this year! 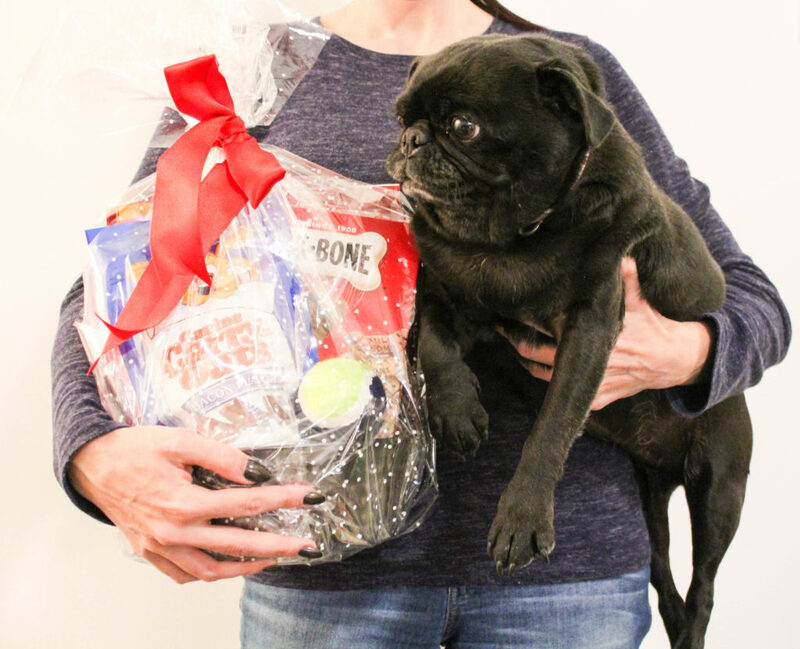 In today’s post I’m sharing some easy ideas for you to put together your very own dog holiday gift basket for your own four-legged family members! And if you don’t have a dog, putting one together for a friend or for your local animal shelter is just as much fun too! One of the gifts that I tend to struggle with every holiday season are the little ones for my coworkers and neighbors. I don’t want to settle on something that people won’t use, and I don’t want to select something cheesy either. 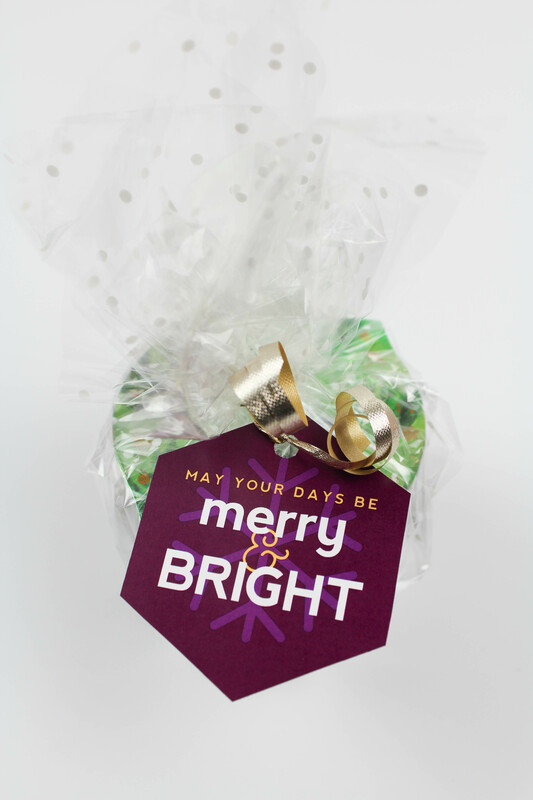 So I LOVE today’s easy and inexpensive candle gift idea, including some printable holiday candle gift tags that I have for you guys that are just too cute! You only need a few simple supplies to put these gifts together. Pick out some of the new Glade® holidays scented jar candles and you’ll have everyone in the spirit this season! I pride myself on being a great gifter. I love planning out fun ideas and picking out the perfect items for the people on my list every year. I have quite a few friends that travel a lot for work throughout the year, and they are always really tough to buy for because they are always on the road. This year, I put together a really fun travel themed holiday gift idea that is easy and features a VERY cool product that I am obsessed with and am planning to pick up for myself too! 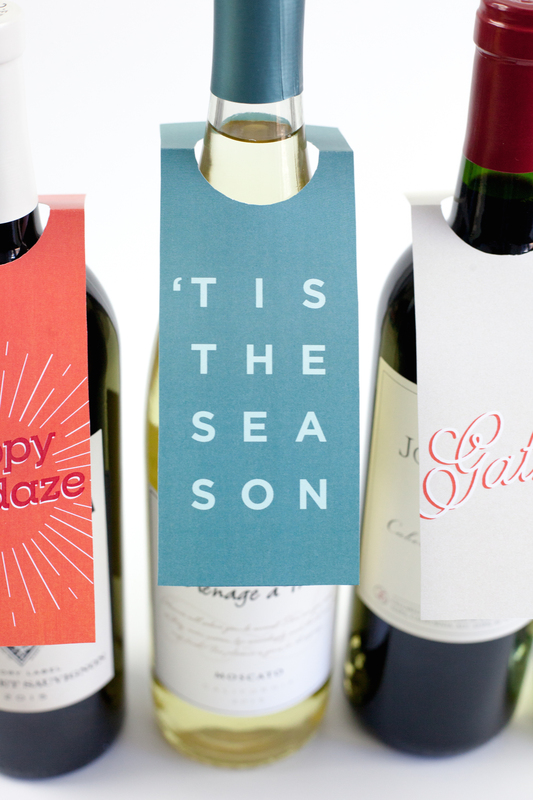 With the holiday season quickly creeping up on us, parties, gatherings, and festivities come with it! Thanksgiving, Christmas, and New Years all bring about their own fun and their own events too. 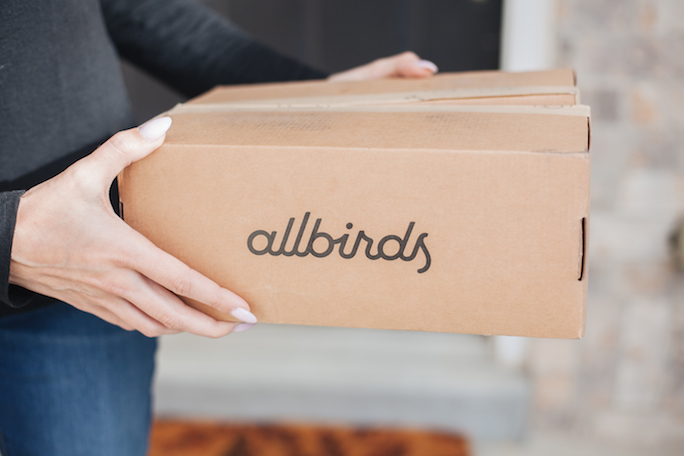 It’s easy to forget about a gift for the host for all of these get-togethers when they seem to fall back to back, but today’s post will save your sanity and your bank account too! 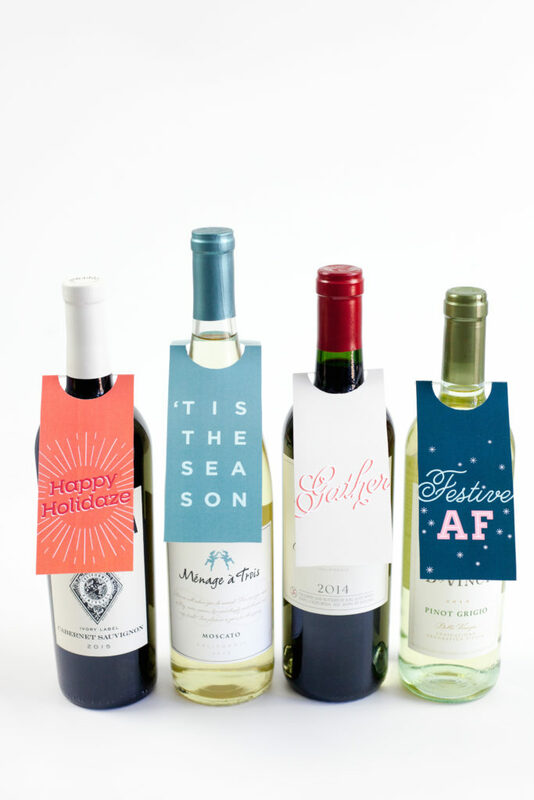 😉 These printable wine bottle gift tags add the perfect festive touch to a normal bottle of wine and will have the host thinking you put some thought into your gift (even if you really did forget). You’ve all seen the Boo gifts floating around the internet and you might have even participated in a few, with your neighbors or co-workers, over the past few years. But let’s get real for a second…it’s seems to be all about the kids. Am I right? I feel like it’s time we changed something up and focused on the adults for a second, because there are A LOT of us that love halloween too! 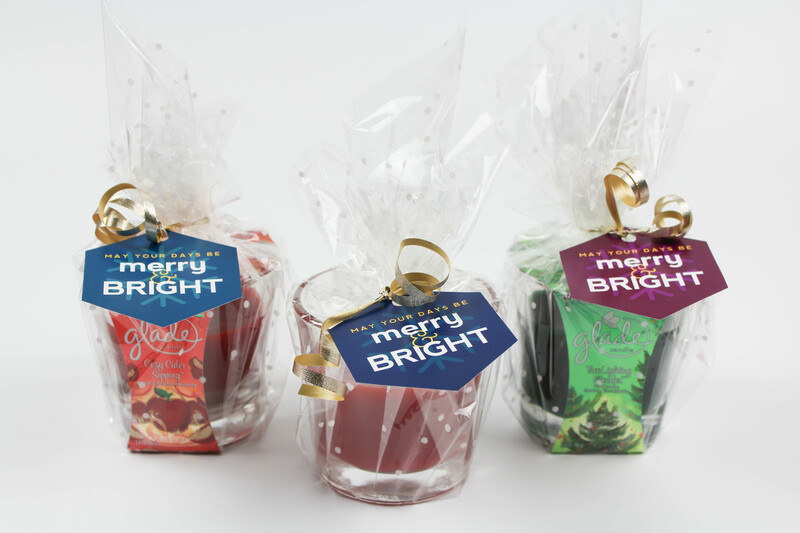 And why not celebrate with a friendly little “Boozed” gift of our own? 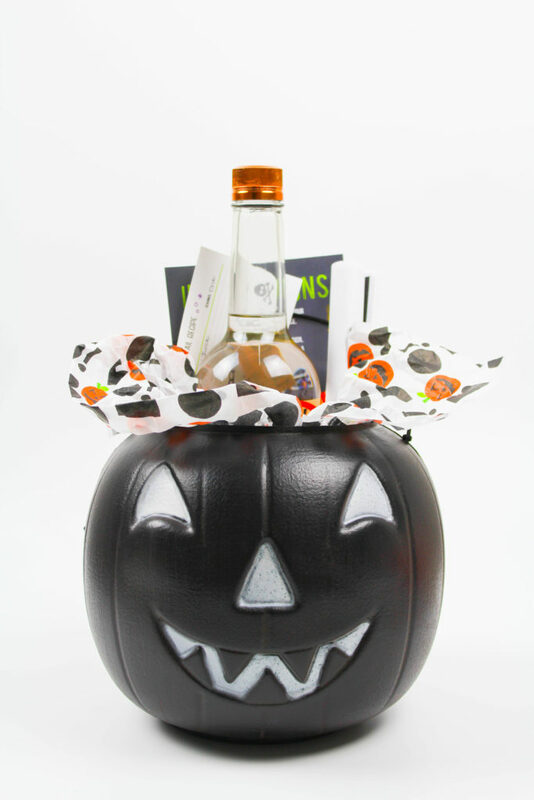 Need a great adult halloween gift idea or fun new tradition to start with friends or family? 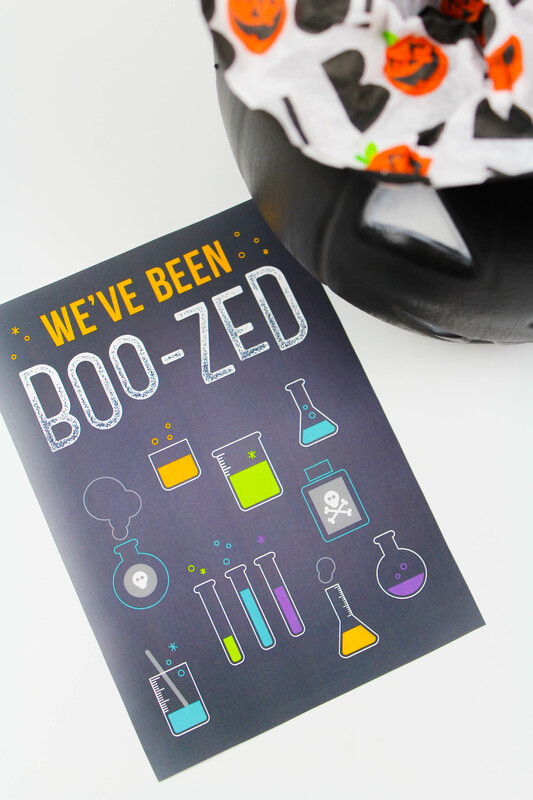 This We’ve Been Boozed printable is the answer…because…cocktails. Need I say more? It’s crazy to think that holiday season is right around the corner. I still can’t even accept the fact that Summer passed in the blink of an eye. (It must be a tell-tale sign of getting old). As October hits and our schedules start getting busier and busier, we have less time to think about gift ideas. With endless events, parties, birthdays, and holidays, they can sneak up on us and leave us scrambling. But, with a little prep work, or a saved pin on your pinterest board for later, you can store ideas away and be prepared well in advance this year! Today’s recipe works for just about any gift idea, and honestly, you can just keep it on hand at home, ready to pour when you have house guests stop by. 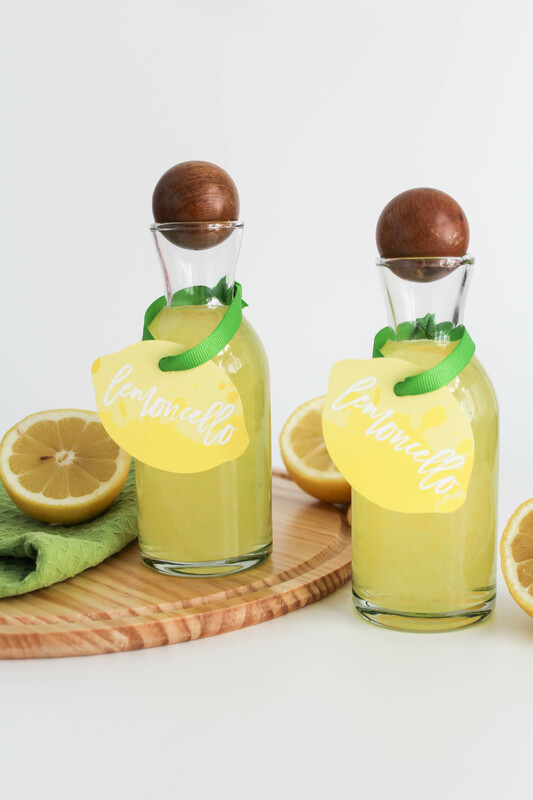 This limoncello recipe is easier than pie, but it does take some patience and a little bit of time before it’s ready to sip.